Facebook is the topmost social networking site, and it is understood that anything related to it will take the market by storm and top charts. This is exactly what has happened with the new Poke App. This App becomes one of the most popular apps on iTunes in just a day. This App is a unique for chatting, and it has a few twists to it. It has released for Apple’s iPhone only for now. Even though, it is limited to this device it has become the most popular App on the Store for now. Like the above, Google also struck gold with the release of its Maps Apps for iOS. For many of this App was welcomed, as it was a necessity. Thanks to the flaws of the stock maps that Apple at that time provided. Now the success of this Facebook Poke App is, of course surprising, however it is not unexpected given the popularity of Facebook as the most sought after social media website. Facebook always shares the reputation of creating excellent and clean applications. This App is an example of their ability, and that is why many users are happy with the product, the creators have furnished for the iPhone. Facebook of late has introduced a number of popular Apps for iPhone users. The notable ones are Facebook Messenger, Facebook Camera and now the Facebook Poke. If you take a look at the App store, you will discover two big names; Facebook and Google battling for ground. Both companies have banked on the boom in the above market particularly during the leisure or holiday seasons. It is the time that people would like to reach out and connect with friends and family. Facebook has proved its success after introducing this App. It is obvious that people today are upgrading to iOS devices, and they are always on the search for new Apps. They visit the App Store for relevant and useful content that is interesting and engaging at the same time. The best part of the new Facebook Poke App is that it is seamless and smooth. Its interface is very impressive, and this is why it has struck gold on launch. Users love it, and its base is growing with each passing day. This App is one of the best when it comes to contacting friends and family on the iOS platform. 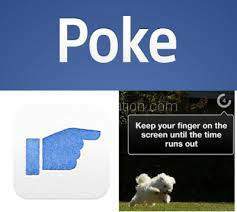 Thanks to its smooth interface, users find it convenient to poke their friends and family without keeping a straight face anymore. They are able to do so with images, and this gives the App a refreshing appeal. The App has reached a milestone of one billion users up til now. Facebook Poke is gradually catching on. We only have to see whether it stands the test of time and survives. There are so many Apps being launched in the market and so we just need to keep our fingers crossed and hope that Facebook Poke App stands the test of time and remains a well-loved App in the hearts of its users today, tomorrow and forever! Facebook silently retired its Poke app from the iOS app store Friday 9th May 2014, ending the run of an app that was both a Snapchat competitor and the last iteration of a joke that’s as old as Facebook itself. Poke allowed you to send ephemeral messages, photos and videos to your friends that would last up to 10 seconds before vanishing forever. If that sounds familiar, it should — it’s an almost exact clone of Snapchat. But Snapchat was launched at the end of 2011, and swiftly gained adhesion to the point where users now send 700 million photos and videos per day, according to the startup. Facebook Poke was launched a year later, and Facebook hasn’t ever revealed usage stats. All we know is it dropped out of the top 25 most downloaded iOS apps very shortly after its launch.